Before the advent of synthetic fibers and cargo containers, jute sacks were the preferred packaging material of global trade, transporting the world's grain, cotton, sugar, tobacco, coffee, wool, guano, and bacon. Jute was the second-most widely consumed fiber in the world, after cotton. While the sack circulated globally, the plant was cultivated almost exclusively by peasant smallholders in a small corner of the world: the Bengal delta. This book examines how jute fibers entangled the delta's peasantry in the rhythms and vicissitudes of global capital. Taking readers from the nineteenth-century high noon of the British Raj to the early years of post-partition Pakistan in the mid-twentieth century, Tariq Omar Ali traces how the global connections wrought by jute transformed every facet of peasant life: practices of work, leisure, domesticity, and sociality; ideas and discourses of justice, ethics, piety, and religiosity; and political commitments and actions. Ali examines how peasant life was structured and restructured with oscillations in global commodity markets, as the nineteenth-century period of peasant consumerism and prosperity gave way to debt and poverty in the twentieth century. 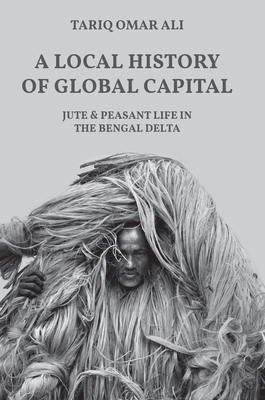 A Local History of Global Capital traces how jute bound the Bengal delta's peasantry to turbulent global capital, and how global commodity markets shaped everyday peasant life and determined the difference between prosperity and poverty, survival and starvation. Tariq Omar Ali is assistant professor of history at the University of Illinois, Urbana-Champaign.